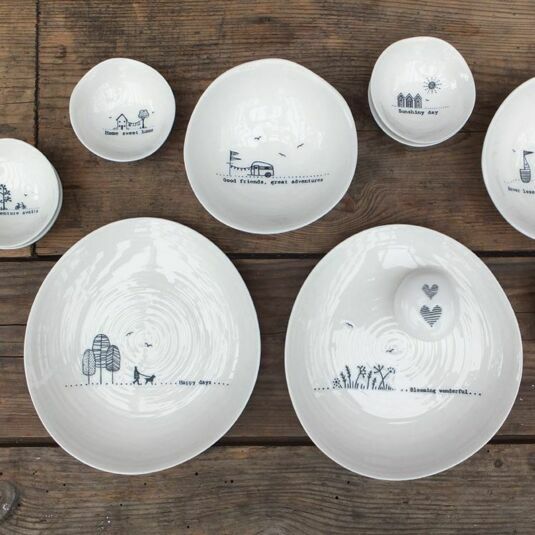 Add a miniature piece of love into your home with an original and rustic Small Wobbly Bowl from East Of India, combining misshapen design with a classic porcelain ridged material for an almost sentimental piece of ceramic ware. 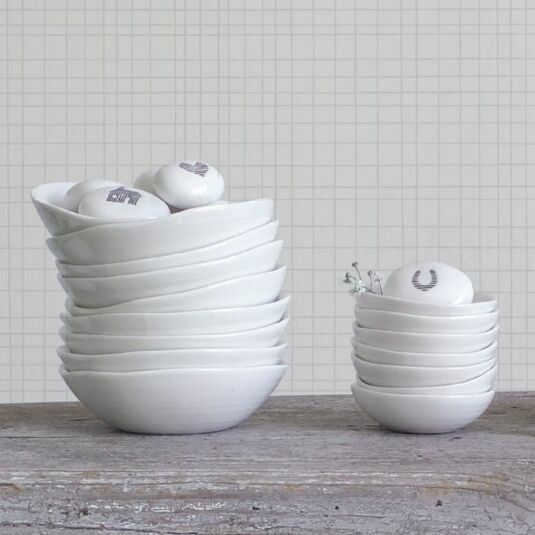 This ‘Adventure Awaits’ Small Wobbly Porcelain Bowl resembles the shape of a weather-worn pebble, rising high at one end of the rim and almost flat long the other. 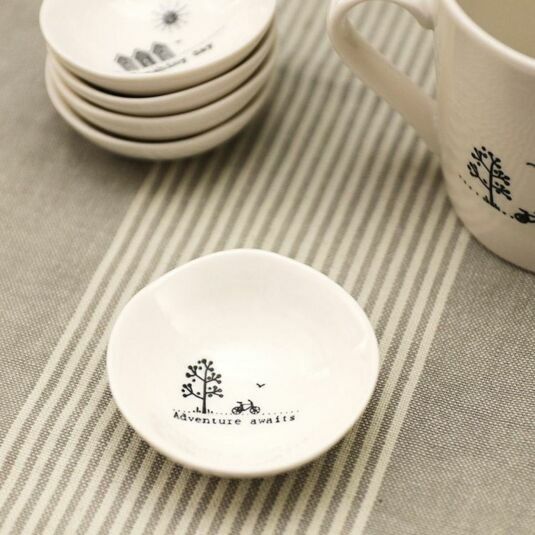 A ribbed effect is found inside the bowl itself, creating a stunning decorative effect when met with light as a beautiful, miniature black line drawn illustration of a bloomed tree and a bike is etched into the centre. 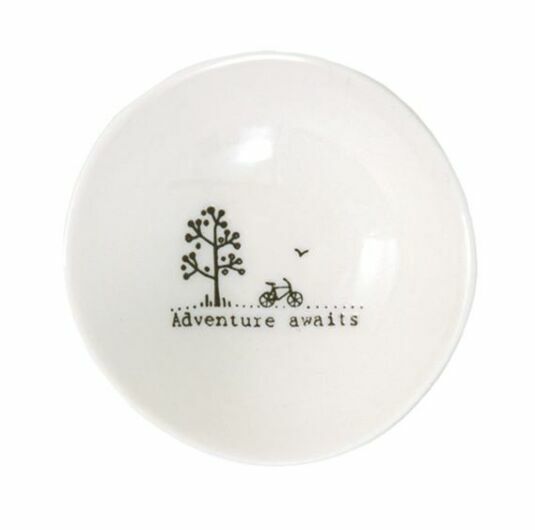 The words ‘Adventure Awaits’ are found running underneath this illustration. 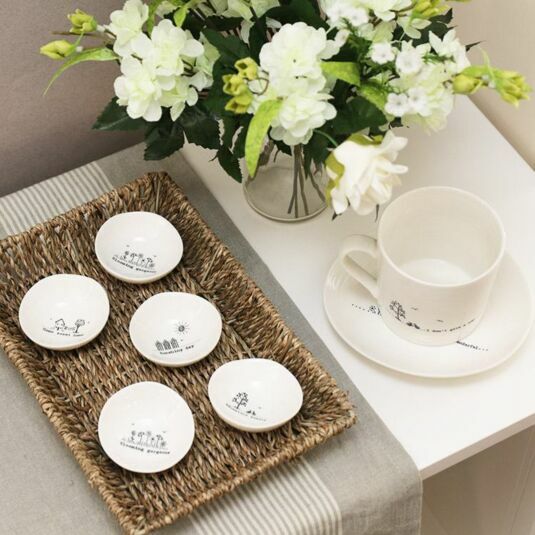 Perfect for holding the likes of rings, small trinkets and various other items, this small bowl can also be used for décor purposes as equally well, making a subtle addition to any coffee table, side board or kitchen work surface. 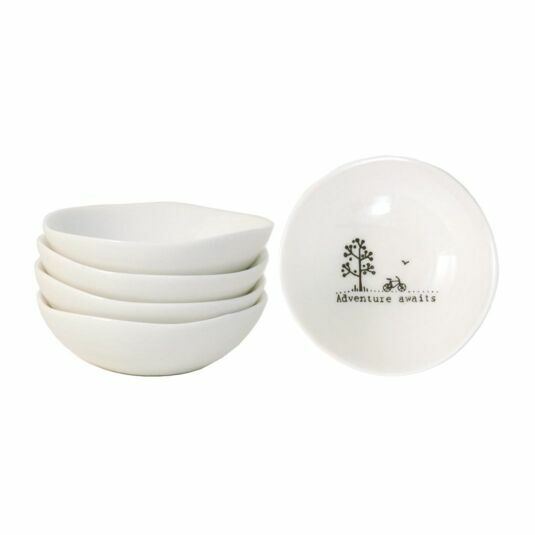 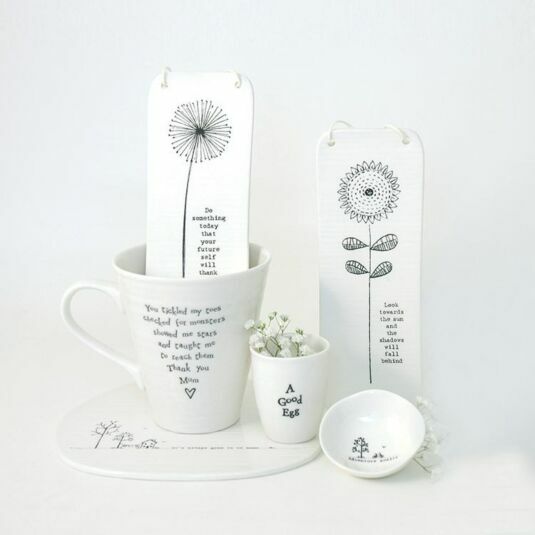 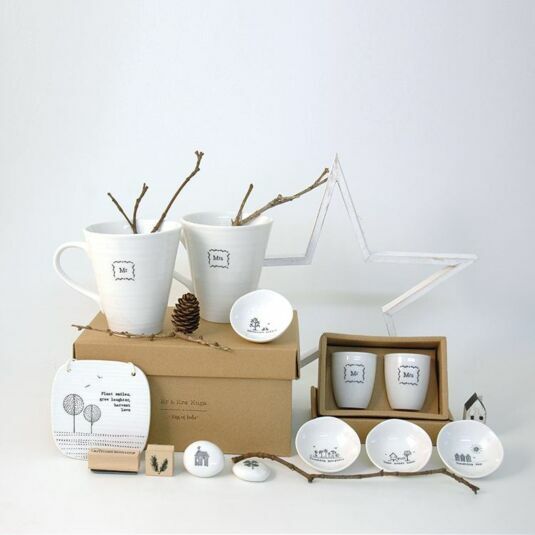 Add a token of love to the home in the form of this sentimental Small Wobbly Porcelain Bowl from East Of India, a touching gift for a family member, friend or nature lover to show them love and appreciation of your bond at a birthday, Christmas or family occasion.